Note: I am currently extremely selective about the speaking engagements I accept, so I can focus on my research at MIT. If you want me to speak at your event, I require all expenses to be covered, plus a honorarium, determined on a case by case basis. 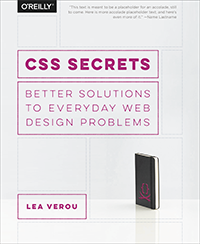 To invite me to speak, please drop me a line at lea〖@〗verou.me.